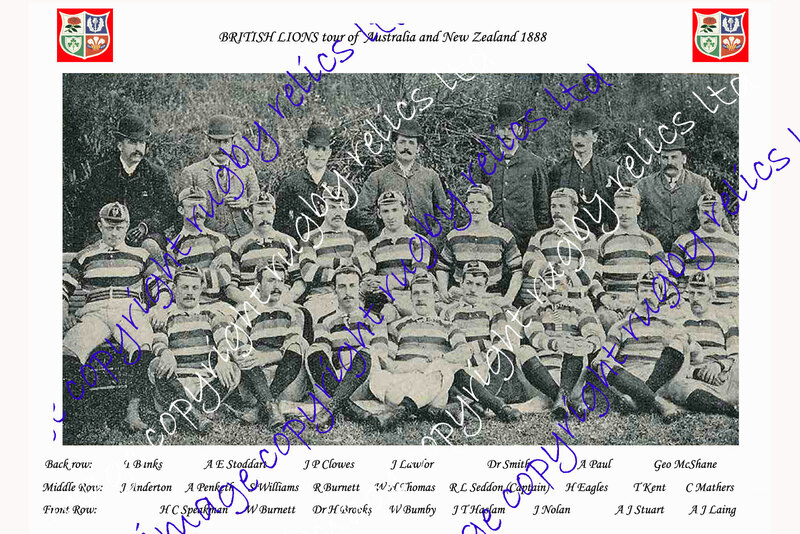 On this page you will find photographs of British Lions teams & players through the ages. Click on the 'add to cart' buttons to purchase the required size of photograph. Delivery is normally in 7 - 10 days from purchase. The website address will not appear on the photo when purchased. Prices for larger sizes and image reproductions are available on request. 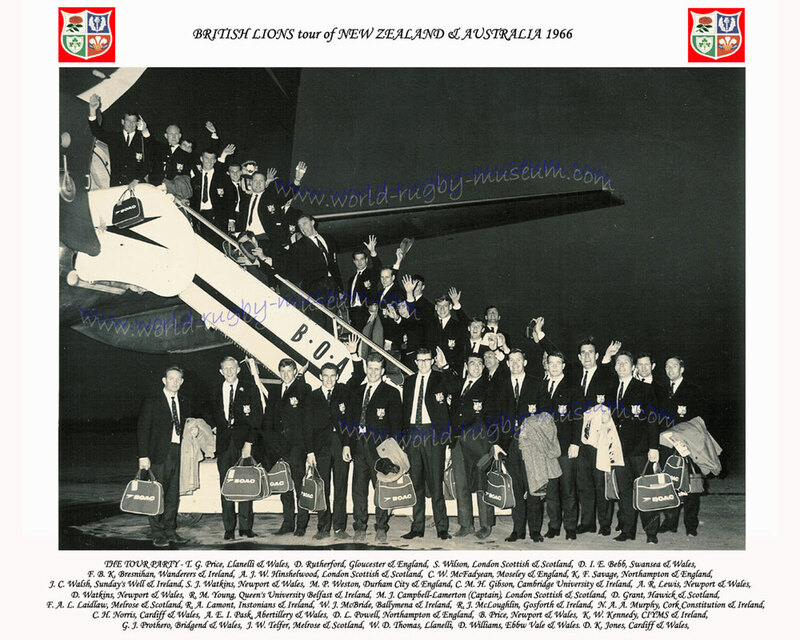 1966 BRITISH LIONS BOARDING PLANE SQUAD PHOTOGRAPH - A photo of the 1966 British Lions boarding a plane, possibly in Canada. 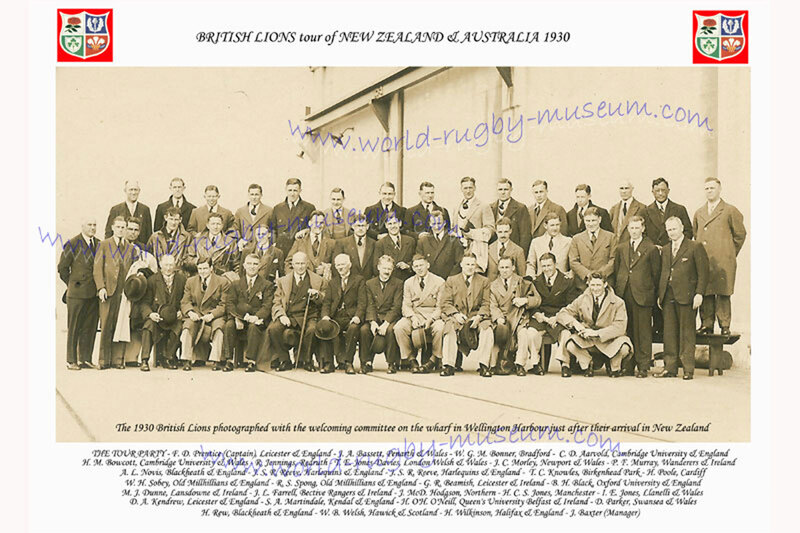 The players that toured with the 1966 British Lions are as follows. 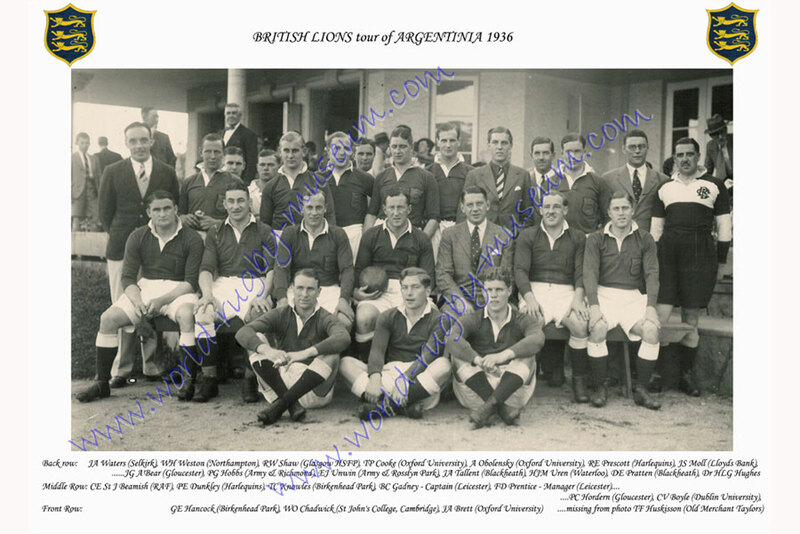 T. G. Price, Llanelli & Wales, D. Rutherford, Gloucester & England, S. Wilson, London Scottish & Scotland, D. I. E. Bebb, Swansea & Wales, F. B. K. Bresnihan, Wanderers & Ireland, A. J. W. Hinshelwood, London Scottish & Scotland, D. K. Jones, Cardiff & Wales, C. W. McFadyean, Moseley & England, K. F. Savage, Northampton & England, J. C. Walsh, Sunday's Well & Ireland, S. J. Watkins, Newport & Wales, M. P. Weston, Durham City & England, C. M. H. Gibson, Cambridge University & Ireland, A. R. Lewis, Newport & Wales, D. Watkins, Newport & Wales, R. M. Young, Queen's University Belfast & Ireland, M. J. Campbell-Lamerton (Captain), London Scottish & Scotland, D. Grant, Hawick & Scotland, K. W. Kennedy, CIYMS & Ireland, F. A. L. Laidlaw, Melrose & Scotland, R. A. Lamont, Instonians & Ireland, W. J. McBride, Ballymena & Ireland, R. J. McLoughlin, Gosforth & Ireland, N. A. 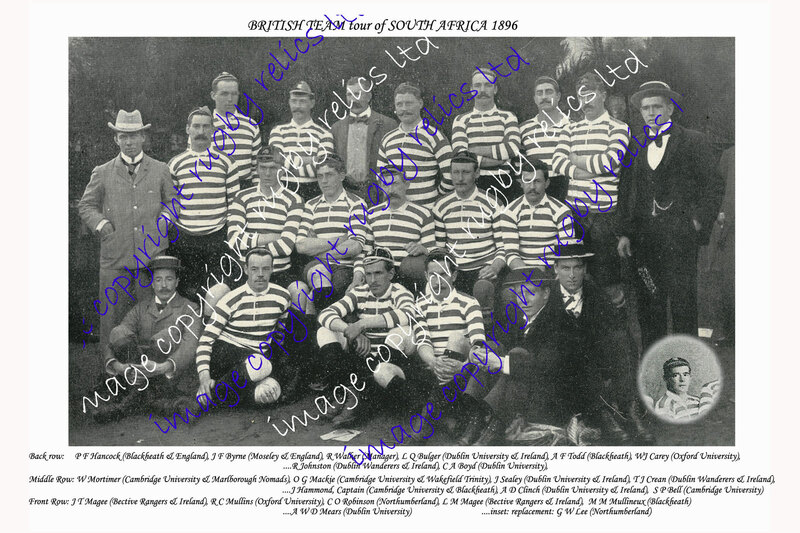 A. Murphy, Cork Constitution & Ireland, C. H. Norris, Cardiff & Wales, A. E. I. Pask, Abertillery & Wales, D. L. Powell, Northampton & England, B. 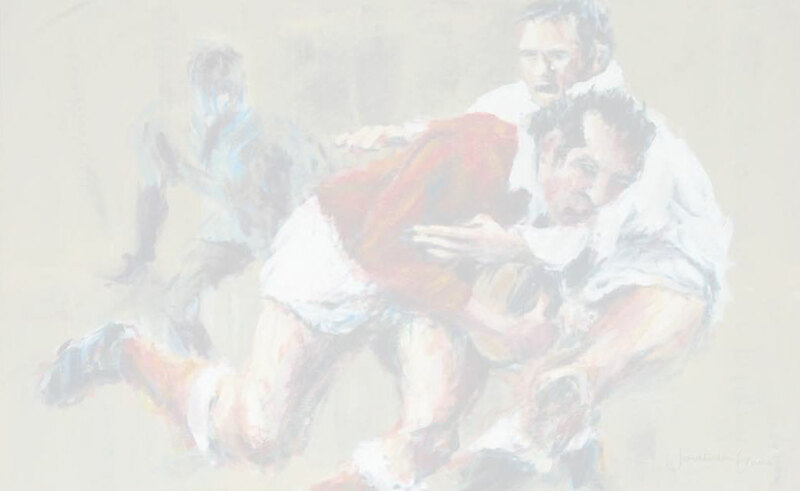 Price, Newport & Wales, G. J. Prothero, Bridgend & Wales, J. W. Telfer, Melrose & Scotland, W. D. Thomas, Llanelli, D. Williams, Ebbw Vale & Wales. T Banks, A E Stoddart, J P Clowes, J Lawlor, Dr Smith, A Paul, Geo McShane, J Anderton, A Penketh, S Williams, R Burnett, W H Thomas, R L Seddon (Captain), H Eagles, T Kent, C Mathers, H C Speakman, W Burnett, Dr H Brooks, W Bumby, J T Haslam, J Nolan, A J Stuart, A J Laing.